Chronic Cerebro-Spinal Venous Insufficiency (CCSVI) Is A Syndrome Associated With A Blockage Restricting The Blood Flow From The Central Nervous System (CNS), Through The Cervical And Thorac Veins. In Layman's Terms This Is When The Blood Supply From The Brain And Spine Has Trouble Returning To The Heart. It Is Suggested That This Blockage Is Due To Stenosis Of The Jugular And Azygos Veins. Dr Paolo Zamboni, Identified And Labeled The CCSVI Syndrome And Has Linked It To To Multiple Sclerosis (MS). Diagnosing CCSVI And It's Subsequent Unblocking Seems To Be The Only Logical Way Forward. This Needs To Be Done Now. 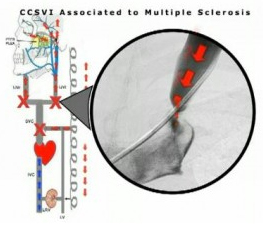 The Connection Of CCSVI And MS Can Be Worked Out In Time. MS Is A Degenerative Disease And Does Not Wait For Time. The Screening And Treatment Should Not Be Delayed Any More. Fix The Known Blockage. If It Is Found, We Know It Shouldn't Be There So Just Remove The Blockage. This Blockage Is Connected To MS Because There Is A High Level Found In MS Patients. Why Don't We Just Test All 2.5 Million Of The MS Sufferers And Treat All With The Blockage? Who Knows? If We Go On The Current Evidence We Will Save Billions Of Dollars On Medications That Only Have A Slowing Down Effect. This Is A Gamble Every MS Patient I Have Spoken To, Who Knows About CCSVI Is Willing To Take. They Accept That This Might Not Be The Miracle Cure They Were Looking For, And Their Hope Dashed, Once Again. Reason Tells Us That If Safe, Screening, And Subsequent Mass Testing, Should Be Done Without Delay. It Can Be Argued That Any Unnecessary Delay To A Potentially Effective Treatment, Can Only Harm The Individual Harboring A Degenerative Disease, Commonly Referred To As MS. Some Go Further To Say It Is Highly Irresponsible. CCSVI Should Be Front Page News In Every Newspaper In The World, It Should Be Embraced And Heavily Researched By Every Charity Organization That Collects In The Name Of Affected People. On The Evidence Already Presented This Delay To Broader Research Appears Unreasonable. CCSVI causes a high sensitivity and specifically separates healthy people from MS sufferers. Current studies suggest that a subtype of MS sufferers have CCSVI present. The the liberation process attempts to remove a blockage in blood vessels leading to the brain. These blockages cause a build up of iron in the brain, which trigger autoimmunity and degeneration of the nerve's myelin sheath. Treatments for MS have been proposed and tested on a small groups of patients. Below are some known possible symptoms, and consequences of the treatment. Hypoxia is a pathological condition in where a region of the body is deprived of adequate oxygen supply. A common result of hypoxia is fatigue and possible unconsciousness. Delayed Perfusion This may cause a delay in the nutritive delivery of arterial blood to the capillary bed. Reduced Drainage of the Catabolites Catabolites is a substance created during the process of catabolism. This process breaks down molecules down into smaller units and then releases energy. Increased Transmural Pressure This may increase the pressure difference between the pressure inside and the pressure outside the walls of the blood vessel. An experimental procedure known as the 'The Liberation Treatment' is a cutting-edge, scientific breakthrough made by Dr Paolo Zamboni of Italy, inspired by the love of his wife Elana. It is proposed that this process may help alleviate many of the symptoms associated with Multiple Sclerosis. Dr Zamboni had a theory that there could be a condition where the veins draining from the brain were either malformed or blocked, and that it was an underlying cause of MS. He labeled it chronic cerebrospinal venous insufficiency (CCSVI). This unique view has rocked mainstream thinking to its core. 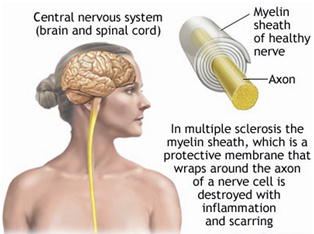 Until this discovery MS was described as an autoimmune condition, where the immune system attacks myelin, a fatty substance coating the nerve cells. Dr Zamboni noticed that 90% of MS patients had a blockage or malformation in the veins which drain the blood from the brain, that this leads to a dangerous build up of iron in the brain, causing the neurological symptoms associated with MS.
Zamboni believed that if this blockage could be re-opened it could alleviate many of the symptoms. He used a simple surgical procedure known as angioplasty to unblock the veins of 65 patients. The surgical procedure was labeled the "liberation procedure" because it liberated the patients of their blockages. Dr Zamboni Has Put Forward Some Pretty Solid Evidence That This Could Be A Successful Treatment. This Response Has Been Slow, But As More And More People Read And Go Through The Actual Process, This Vision Is Gaining Momentum. All We Can Ask You To Do Is Look At The Facts. Many Of It Is Written By People Who Have Benefited From Dr Zamboni's Research. The First Barrier To Get Over Is The Testing On Ccsvi, Which Currently Is Not Readily Available. Essentially We Must Strive To Raise Awareness. We Are Looking To Concerned Bloggers To Keep This Subject In The Limelight Until This Surgical Procedure Becomes Mainstream. Dr Paolo Zamboni Offered A Hypothesis, Pointing Out That Any Delay In The Treatment Of This Problem Will Only Result In A Worsening Situation For The Patient.